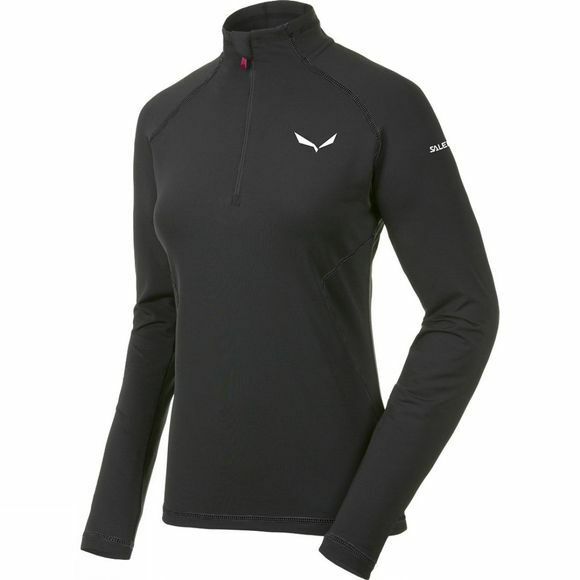 The Womens Ortles Cubic Polarlite Long Sleeve Tee from Salewa is a lightweight and breathable baselayer for mountaineering, ski mountaineering and other mountain activities. Made of polarlite which quickly pulls moisture away from the body, it’s comfortable when worn next–to–skin thanks to its soft construction and provides high warmth from minimal weight. Salewa's athletic fit and flat lock seams keep things very comfortable. The four–way stretch fabric and ergonomically shaped sleeves give a great fit and full freedom of movement whether worn as part of a layering system or on its own. And you’ll appreciate the effective odour control on longer trips.